It took a picture of Ashlee’s bloodied face on Facebook for police to act. Police have been accused of failing to act on a domestic violence complaint as graphic images of the alleged victim circulate on social media. Ashlee Savins, 19, was allegedly punched in the face by her 21-year-old boyfriend in Sydney’s western suburbs on Saturday night. But according to Ms Savins’ housemate, police failed to take the incident seriously. It is now playing out on social media, with Ms Savin’s friends and family posting photographs and writing complaints on the unofficial Facebook page of St Marys police, and their own pages. On Sunday night, Ellie Sutton posted pictures of Ms Savins on her own Facebook page, and said the police needed to “step up their game”. “THIS is what happened to my housemate on Friday night at the hands of her boyfriend. 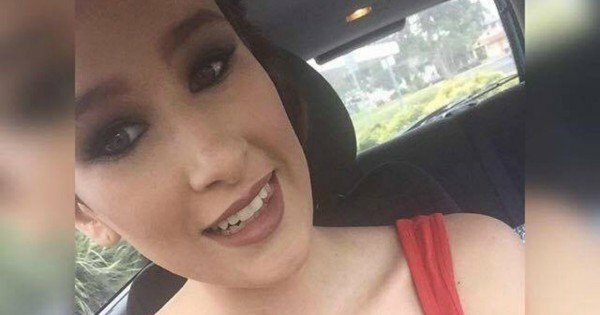 She suffered a broken nose and chipped front tooth after being struck twice in the face. “She woke me up in the middle of the night like this crying for help, it’s not the first time he has hit her. I called the police, he was detained. “Police have now told her they are not going to take matters further because he told them she “fell on her face” and “it’s her word against his” and there is insufficient evidence…. Even though he then fled the scene and she has a text message from him pleading with her not to tell anyone. The post has been shared over 3800 times. Police has been called to the women’s Oxley Park home after midnight on Friday. An ambulance was called to take Ms Savin to the hospital and a video statement was taken. “On the night they were very supportive… but then they called back on Sunday afternoon and said that his statement was different to hers,” Ellie Sutton said. Ms Sutton said police told Ms Savins they wouldn’t take the case further. “I just felt like I needed to say something,” she said. It worked, and according to Fairfax media, Ms Sutton’s post prompted a further response from the police. “Police are investigating the full circumstances surrounding an alleged domestic assault that occurred about 12.45am on Saturday, 12 December 2015 at an address in Oxley Park,” a police statement said. Ms Savins told Mamamia she believed the police had only acted because of the uproar online. “I feel that if it wasn’t for the social media I don’t think it would have happened,” she said. Angry members of the public, along with family and friends of the alleged victim flooded Facebook with their complaints about the incident. 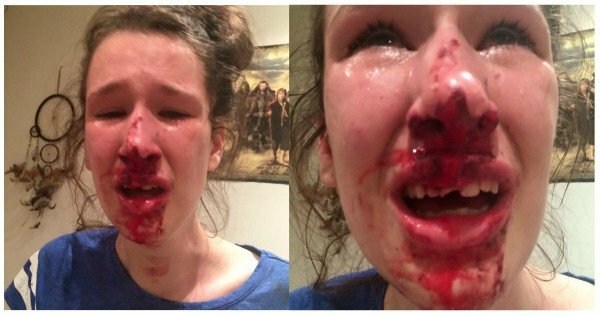 “My sister was the victim of domestic violence on Friday, yet the scumbag that pummelled her face with his fist isn’t going to be punished for it. Pathetic! 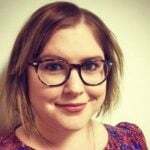 Where is the justice for my sister?,” Lauren Walters, who identified herself as Ashlee Savins’ sister, wrote on the St Marys police’s unofficial page on Sunday. Ms Savins has since confirmed that she was called back by police to give a follow-up statement. “I am still in shock and haven’t gotten my head around it,” Ms Savins told Fairfax. The two women provided screengrabs of a conversation allegedly between Savins and her boyfriend, where he appears to take responsibility for her injuries. “Ashlee please don’t tell anyone, I can’t get done for this, I’ll lose everything,” he allegedly wrote on Saturday morning. 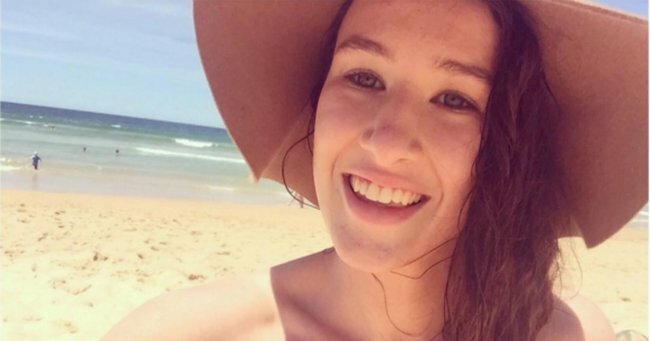 Since posting the graphic photographs of Ms Savins’ injuries on her own Facebook page, Ellie Sutton said she had received messages from people questioning them. “I’ve had a number of idiots messaging me stating that a photo uploaded to the original post saying Ashlee fell,” she said. Ms Sutton said she just wanted to see the case taken to court.